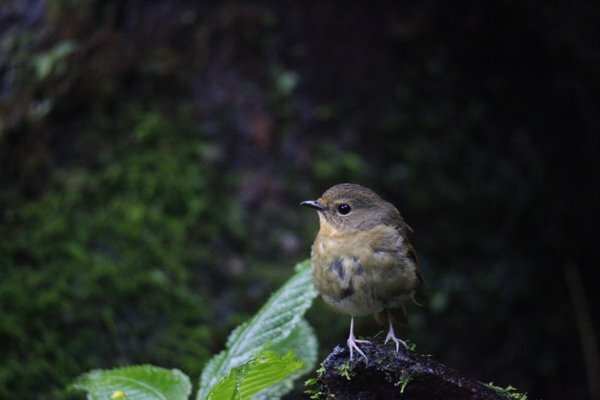 Doi Inthanon National Park in northern Thailand is a birding paradise (IMHO). I only got to spend a couple of days there, but the altitudinal range – and corresponding habitat and bird assemblage variation – really touched me. We were visiting Doi Inthanon with Jan and Tu – two of Thailands most extraordinary birders (great people and wonderfully knowledgeable guides) – and as any birding tourist knows: the depths of the birding and peripheral experience is made all the greater by great company. After a morning of birding the famous second checkpoint (photo blog here), we headed up to the summit – a grand forest-cloaked 8415ft (2656m) asl. 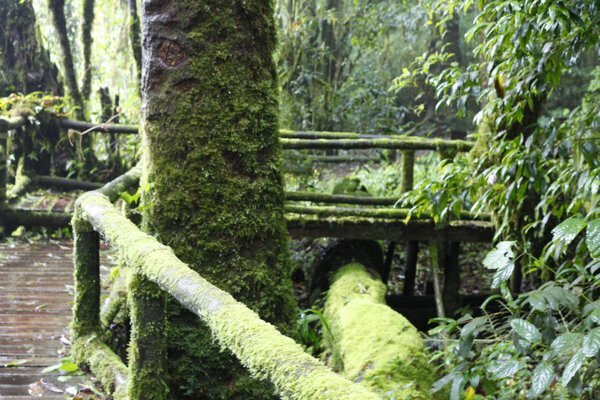 Right up near the summit is a wonderful boardwalk trail through a forest peat swamp that is evidently THE place to look for a number of higher-altitude birds, like the Pygmy Wren Babbler, White-browed Shortwing, and Snowy-browed Flycatcher. It took us less than a minute on the trail before we picked up our first wow bird – the White-browed Shortwing. It reminded me a lot of the Robin-Chats of southern Africa; with a bit of anxious pitta genes thrown in for good measure. Practically the entire time we were on these trails (both days) we were surrounded by male and female shortwings frantically searching for food for their nestlings. Although the shortwings were not very shy when foraging, they seemed to be a whole lot wearier when approaching their nests – not a bad idea given the reputation of some of Thailand’s more bold bird photographers. 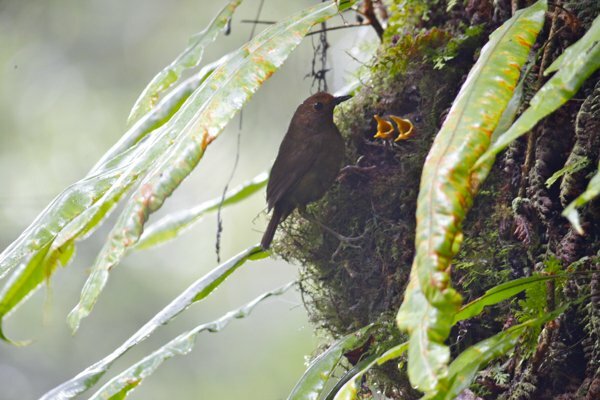 Female Snowy-browed Flycatcher (Ficedula hyperythra) – certainly not shy, but incredibly difficult to digiscope in the dark, rainy forests. Trying (in-vain) to get some good digiscoping photos of the White-browed Shortwings. Heading down to a lower region of Doi Inthanon, we took a forest track in the hope of turning up a parrotbill that had been seen in the area that morning (one of my target species). After a number of great bird parties filled with lifers and jaw-droppers, we headed back to the car, picking up a Rufous-backed Sibia (third for the day) and Slaty-bellied Tesia (Tesia olivea) right near the car. Still no parrotbills. 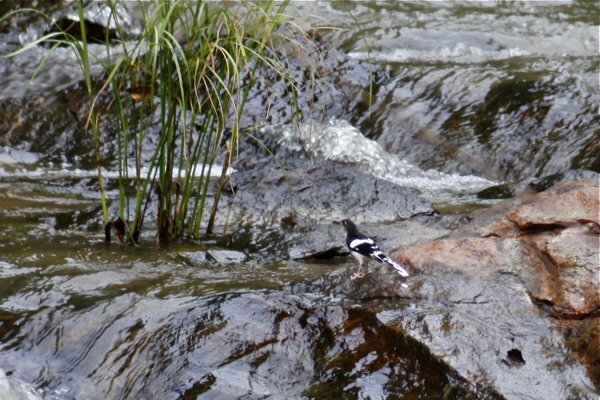 oh, yeah, that’s right, its a Black-backed Forktail (Enicurus immaculatus). Yahtzee. A bad photo of a good bird. Collared Falconet (Microhierax caerulescens) at 15cm long, it is not particularly big. (By way of comparison, an American Robin is 23-28cm.) Digiscoped hand-held with a compact camera at 4000mm focal length across a valley. 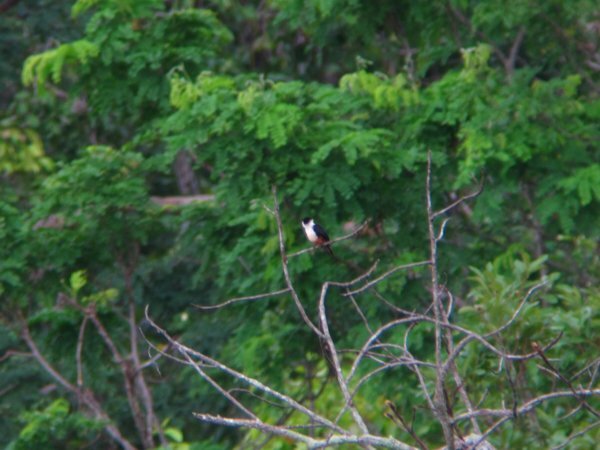 I was lucky enough to visit the park many years ago including Velvet-fronted Nuthatches, Cutia, White-browed Shortwings, Slaty-bellied Tesias, Dark-sided Thrushes and Green-tailed Sunbirds. A great place. Ekk. That should read …many years ago and saw many great birds like …. 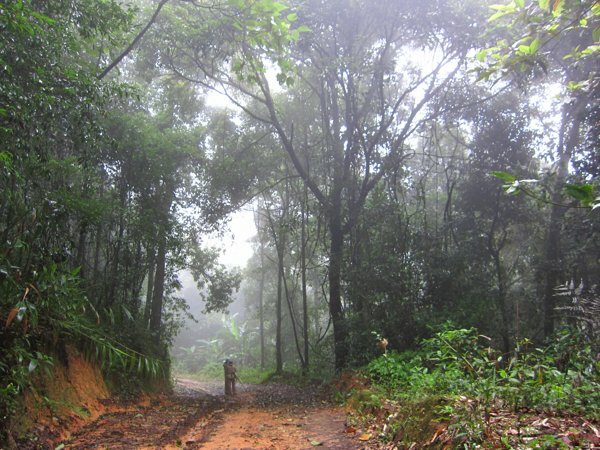 Nice to see a post about Doi Inthanon. Was there in 2007 and always hope to go back some lucky day. 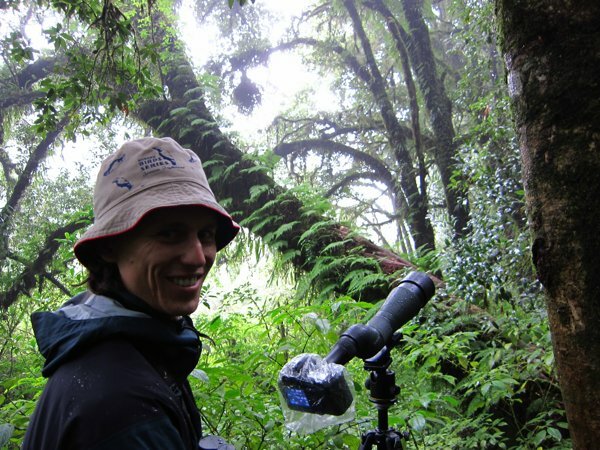 The birding was nothing short of fantastic from the dry forests lower down to the mossy cloud forests up on top! I am astonished that you even considered hand held digiscoping. Incredible result with the falconet. @Duncan, I really wanted to see the dark-sided thrush, but dipped, giving me a great reason to return! @Dale: Trust me, I know…that was one of my teenage anthems.